In November, I was in Paris, France—just the latest in a long line of visits. My first night of that trip, I was invited to an international Thanksgiving celebration. The hostess, an American expat who has been in that city for many years, had made turkey and stuffing, mashed potatoes and gravy, and had invited her international friends to join her for a celebration of gratitude. The room was full of people from all over the world—Parisians, of course, but also Australians and Venezuelans and Italians and Portuguese. The hum of languages was beautiful and unusual. And the joy of the gathering was universal. By the end of the night, I’d made three new friends and secured a dinner invitation for the next night. The following evening, I arrived at said dinner with my friend Danielle—an American expat and the first friend I made in Paris several years ago—to another busy room full of people. There were South American expats from Venezuela and Colombia, Parisian locals (who spent their time tirelessly attempting to perfect their understanding of the Venezuelan cuisine that was being prepared), and, of course, us—the Americans living abroad. The night was loud and joyful, full of jokes and conversation that flowed seamlessly between English, Spanish, and French, with everyone translating for his neighbor as needed. The food was magnificent—avocado, chicken, black beans, and arepas (flatbreads), all prepared in the traditional Venezuelan way. And by the end of the night, I had two more invitations under my belt—one for a cheese tasting and another just to get together for coffee or drinks. 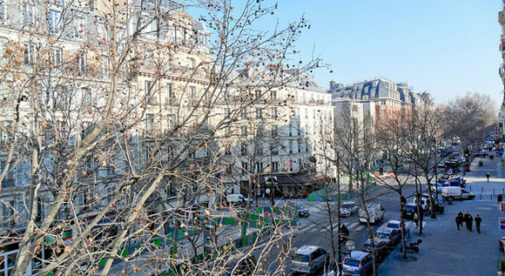 Paris is one of the easiest and most welcoming places to be an expat. For me, this is the reason Paris ranks as my favorite big city in Europe…and maybe even in the world: Every time I’m here, I’m quickly and effortlessly part of a welcoming international community. 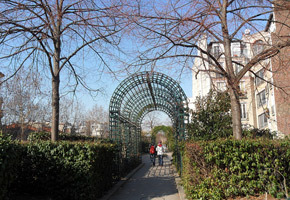 My second visit—a six-week stay in the romantic, artistic Montmartre neighborhood—was the same. My one friend introduced me to two of hers and we slipped into a routine of twice weekly girls’ nights in wood-paneled mojito bars or drinking rich red wines in our own living rooms. My Parisian landlord—a brilliant, artistic, philanthropic woman who was working on a memoir—invited me for dinner and we talked art and stories and love late into the evening. On my third trip, I met another local who invited me to come hiking outside the city. And on this—my fourth trip—I was ushered from party to party, new friend to new friend. I had lunch with a woman who splits her time between Paris and Florence. I talked travel with a Venezuelan woman who was learning Chinese and French. And I took long walks through pretty neighborhoods with my first Paris friend, with whom I am still close. When I first started traveling extensively and decided to move to Europe, I wondered how hard it would be to make friends. Over the years I’ve discovered that Paris has been one of the easiest and most welcoming places to be an expat.